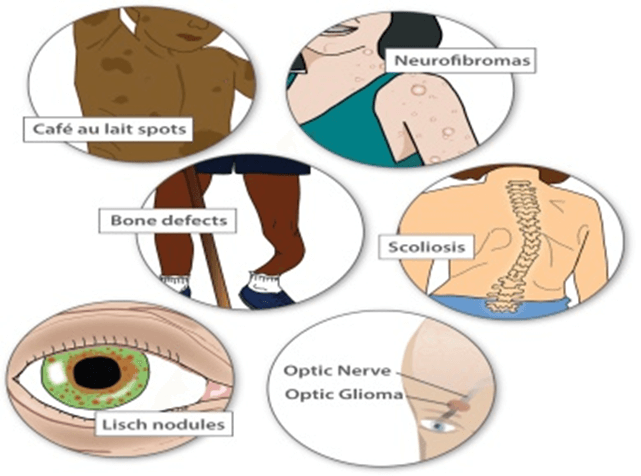 NF1 is a disorder characterized by the growth of noncancerous tumors called neurofibromas. Neurofibromas usually form on or just underneath the skin, as well as in the brain and peripheral nervous system. But they can also develop in other parts of the body, such as the eye. 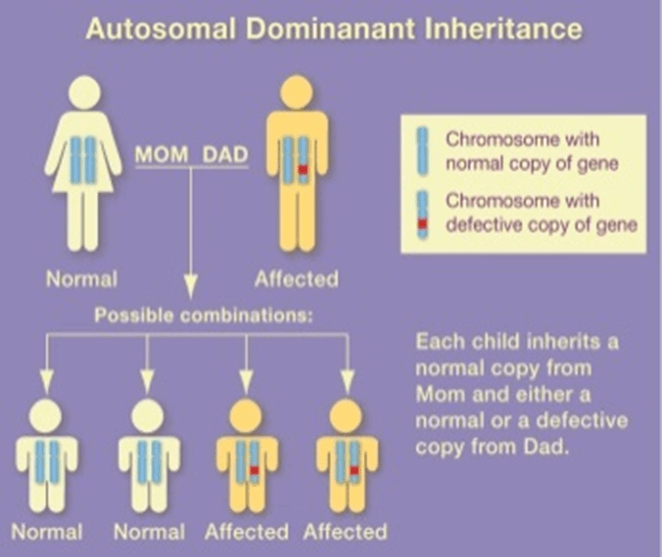 The disorder is caused by a mutation in a gene on chromosome 17. The gene codes for a protein called neurofibromin. This protein regulates the activity of another protein, called ras, which promotes cell division. When the NF1 gene is mutated, it usually leads to a shortened version of the neurofibromin protein that cannot bind to ras or regulate its activity. As a result, the ras protein is more active. Cells are told to begin dividing and never told when to stop, causing them to form tumors.